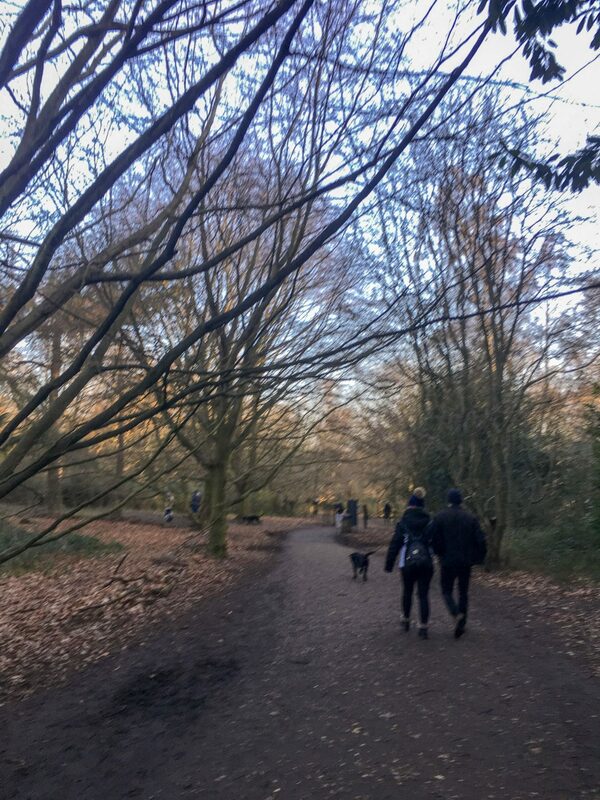 One of the best parts about living in West Hampstead is being within walking distance of Hampstead Heath. 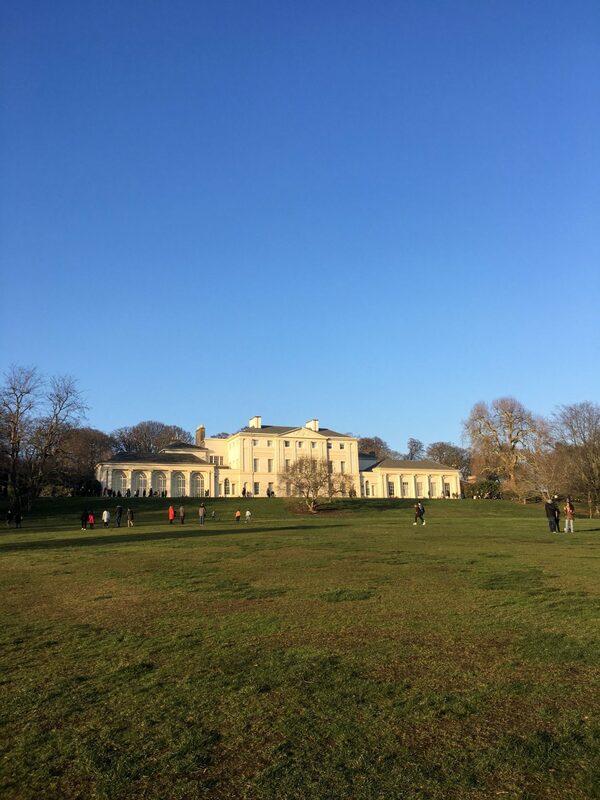 Covering 790 acres, the Heath is one of the highest points in London, with great views over the city, as well as ponds, woodlands, playgrounds, and the estate of Kenwood House. It’s easily accessible from Hampstead and Tufnell Park Northern Line stations, and Gospel Oak and Hampstead Heath Overground stations. 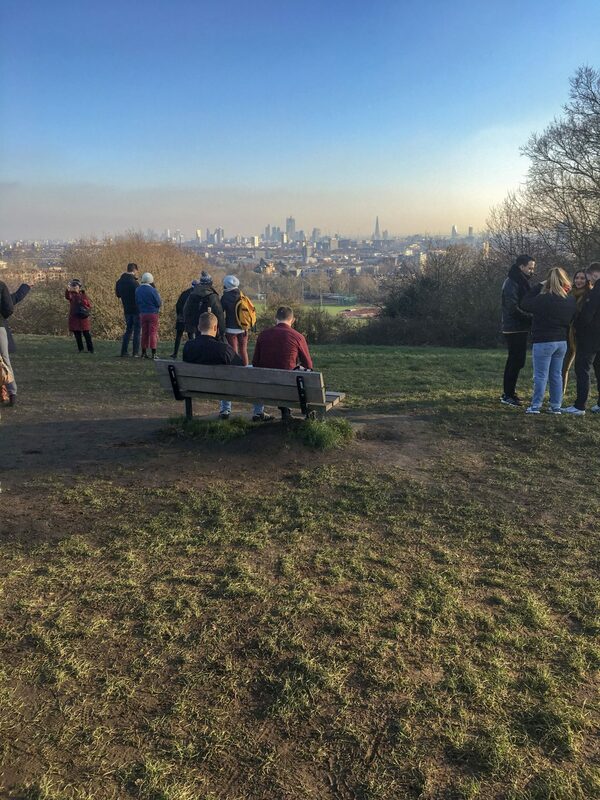 My favourite spots on the Heath include the view from Parliament Hill, and the previously mentioned Kenwood House, a former stately home you might recognise from the end of the film Notting Hill. 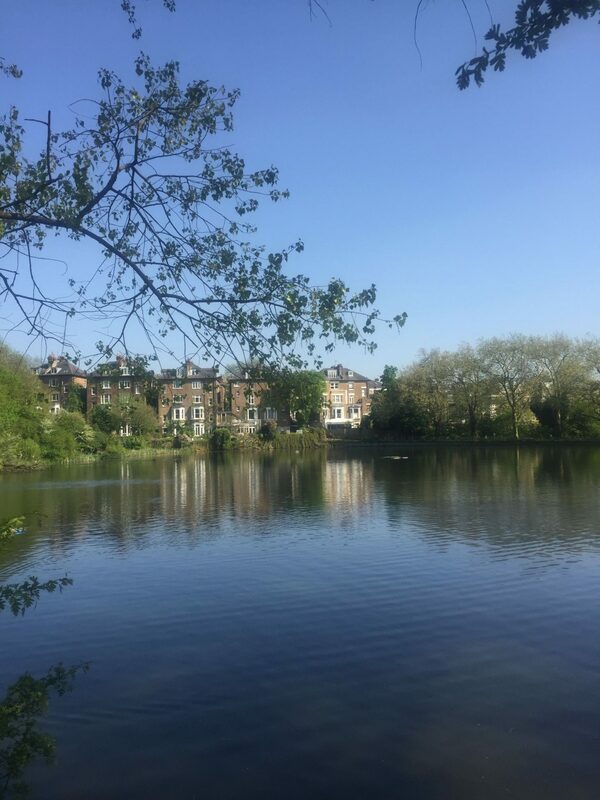 It’s a great place to aim for on your walks around the Heath, especially in summer when you can stop in the cafe for ice cream. 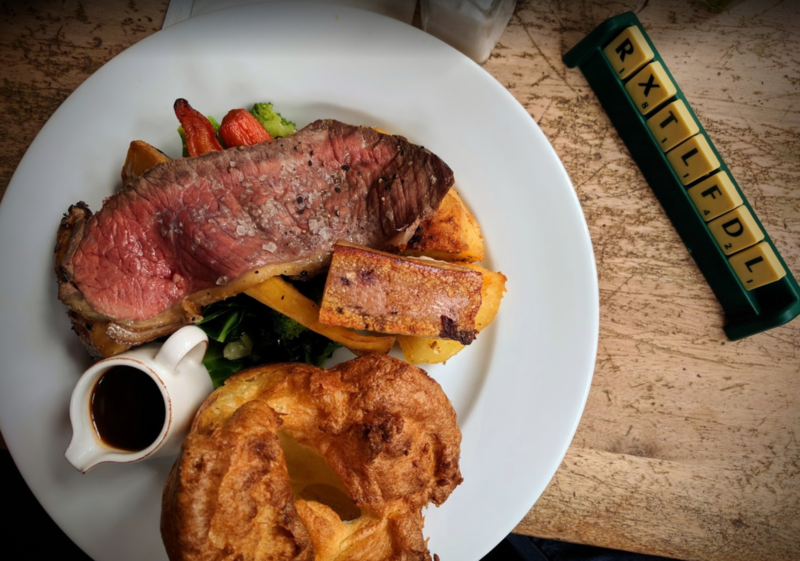 If you’re a Londoner and looking for a wholesome way to spend your Sunday, a walk on the Heath followed by a roast in one of these pubs will leave you feeling like you’ve spent the day in the country. Now if you’ve read my Steak Leaderboard then you know I take meat very seriously, and that you can take my recommendations to the bank. When it comes to roast dinner, my priorities are crispy potatoes, veg that is actually worth it, and above all, gravy. The Vine is a really reliable Edwardian pub, recently refurbished, with board games inside and a really nice leafy beer garden in front. Whereas all the other pubs in this list get booked up in advance, The Vine usually has room after a spontaneous Heath walk. 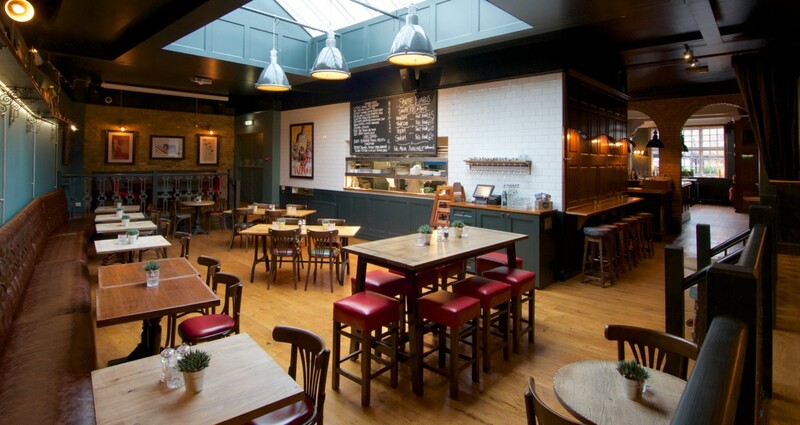 Inside The Vine, Kentish Town. 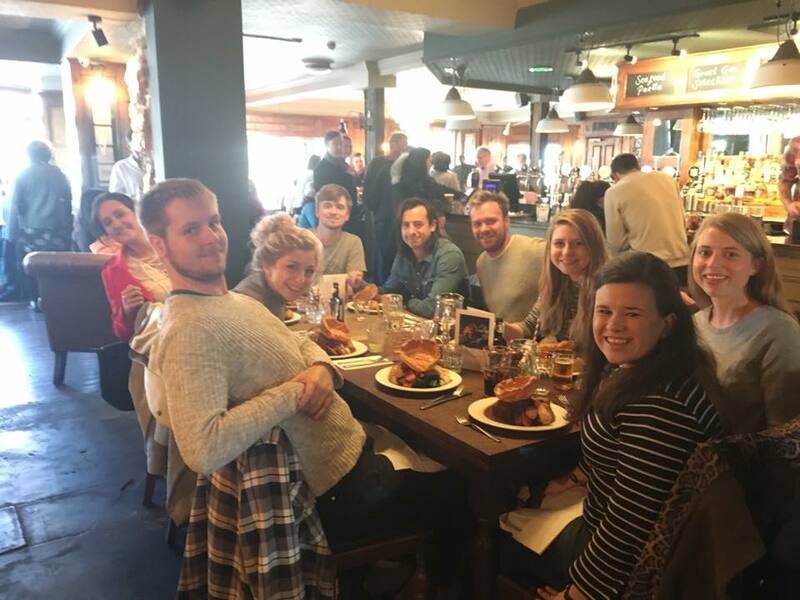 Their Sunday roast menu includes chicken, beef, pork belly, and vegetarian haggis & root vegetable Wellington, all served with Yorkshire pudding, roast potatoes, seasonal vegetables and endless gravy. They also have flavoured water, which was extremely refreshing on our visit during last summer’s heatwave. 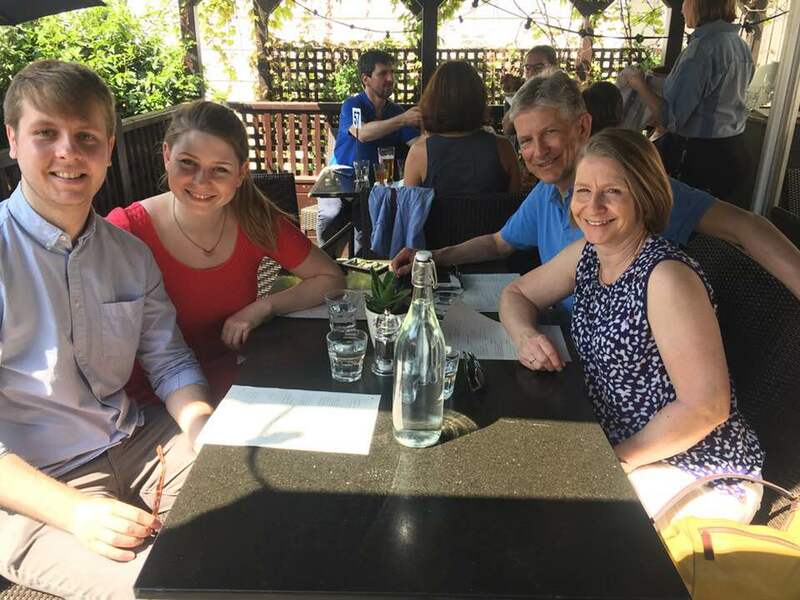 The family having a roast on the terrace. The Vine Sunday roast gets full marks from me, ticking all my boxes. In fact, it’s probably unfair for me to put it in fifth place because the only downside was how hot it was that day. Roast was probably a bad choice to begin with. The delicious roast from The Vine. 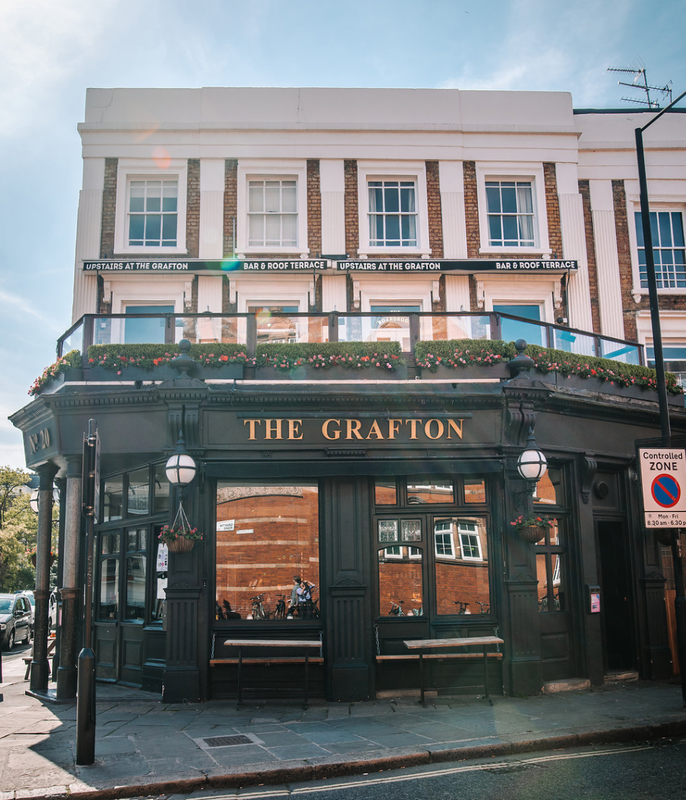 The Grafton is a really cool pub near Kentish Town West, and even won the British Pub of the Year Award in 2015! 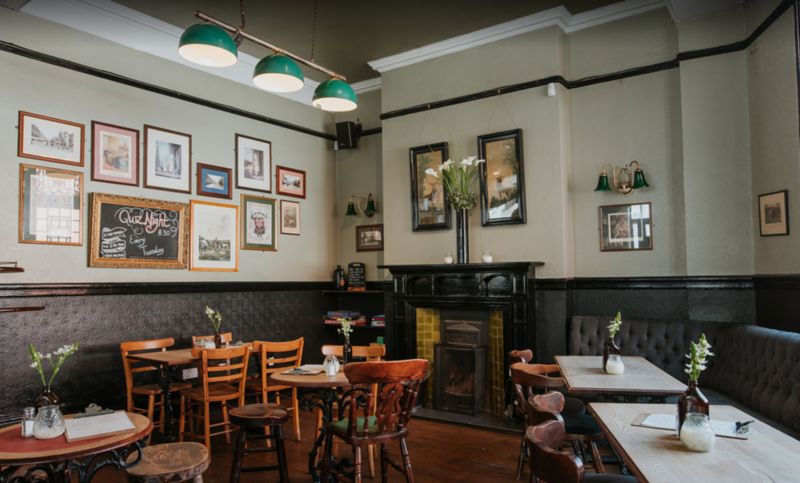 Describing itself as “a proper boozer for the Kentish Town community to call home”, it has a great range of local beers and some pretty eclectic internal decor. 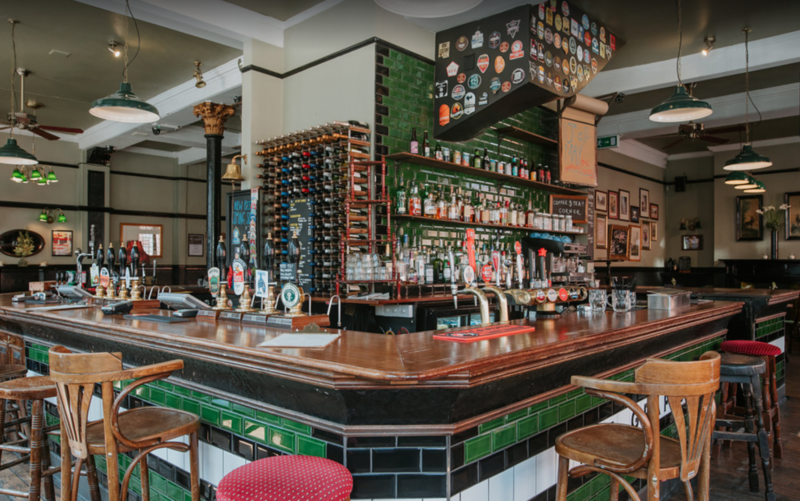 The bar at the Grafton pub, Kentish Town. 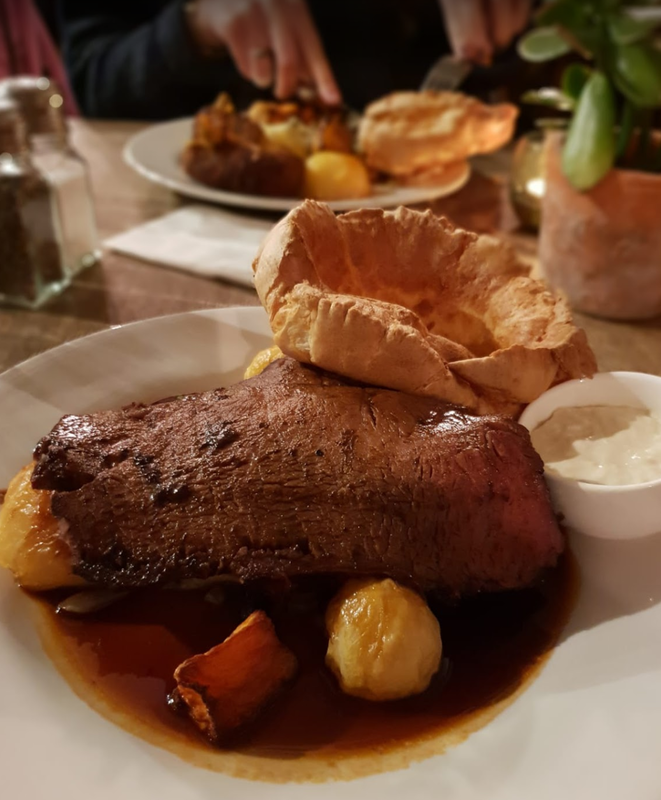 The Grafton Sunday roast also includes chicken, beef, and pork belly, with quinoa and bean roast as the vegetarian option (which is also vegan-friendly), all served with seasonal veg, Yorkshire pud and red wine gravy. One of the dining areas at the Grafton. This is a good, satisfying roast from a solid choice of pub. I rarely notice how well stocked a bar is, but this was one of those occasions – the alcoholic ginger beer I had was really good. 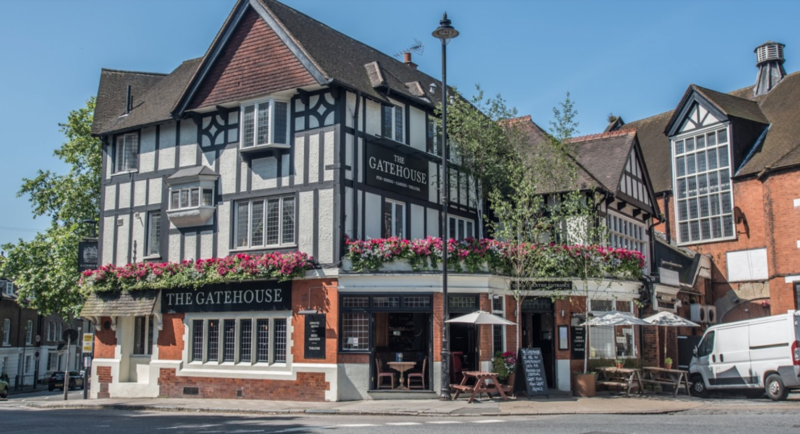 In the heart of idyllic Highgate village is the Gatehouse, an independent local pub serving “quality seasonal British food with a strong Spanish influence”. 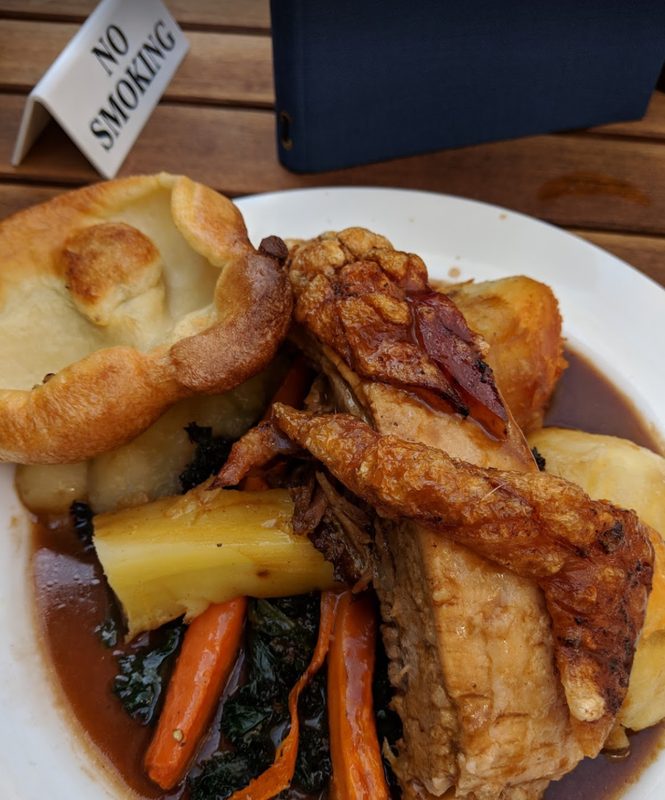 They claim to have the best roasts in Highgate, and considering I don’t have any other Highgate pubs in this list they might be right! 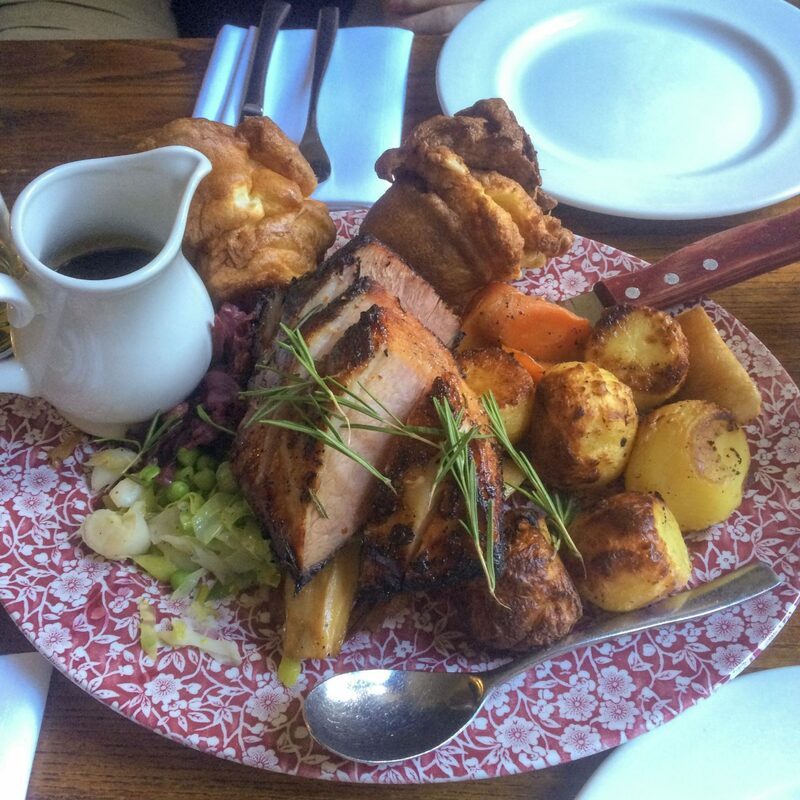 The Gatehouse is another pub that serves chicken, beef, and pork belly on a Sunday! Their vegetarian option is Nut & Lentil Loaf, and all the roasts come with Yorkshire Pudding, roast potatoes, carrots, parsnips, seasonal greens and gravy. Look at those massive Yorkshires. We came here with all of my cousins for Sunday lunch. I’m sure you can imagine the Whiteheads as a group have pretty high roast standards, but the Gatehouse smashed it. 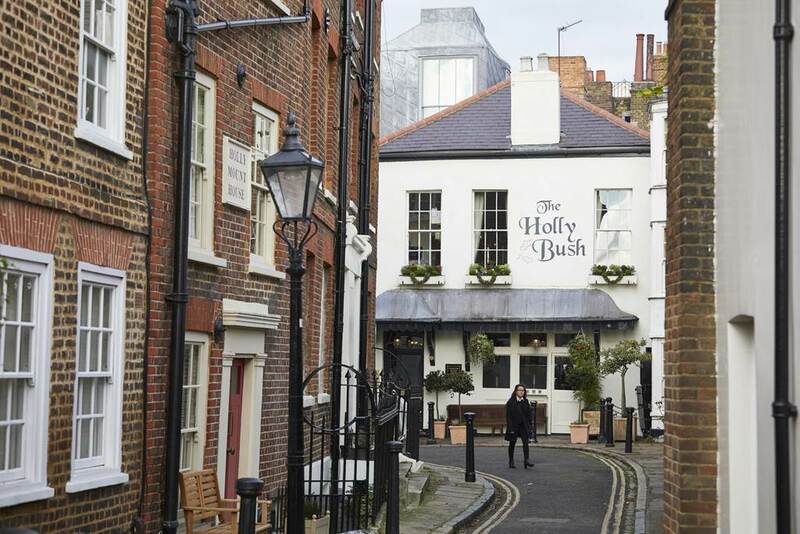 The Holly Bush can be found at the end of a winding street in the heart of Hampstead town, and is a great place to go celebrity spotting. 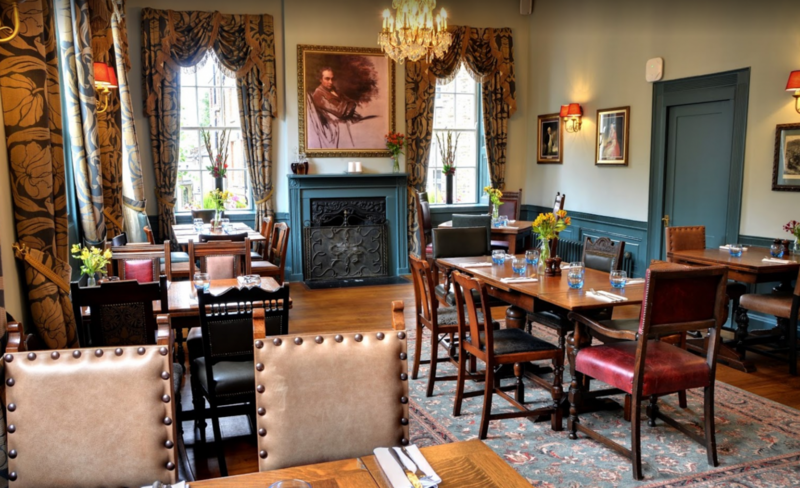 This traditional country pub is perfect if you want to feel like you’ve left London for the day, with old-fashioned rickety corridors and fireplaces in every room. The Holly Bush roast includes the usual chicken, beef and pork belly, but also has lamb on the menu, as well as butternut squash & feta Wellington for the veggie option, served with roast potatoes, Yorkshire pudding, buttered kale, honey roast parsnips and carrots, butternut squash puree, and a mini jug of gravy per person. One of the upstairs dining areas. This was one of the best roasts I’ve had in a while, with loads of perfectly cooked vegetables and crispy potatoes. And as you can see, you get a huge serving. The personal gravy jug definitely helped put it up near the top of my list. The roast beef at the Holly Bush. 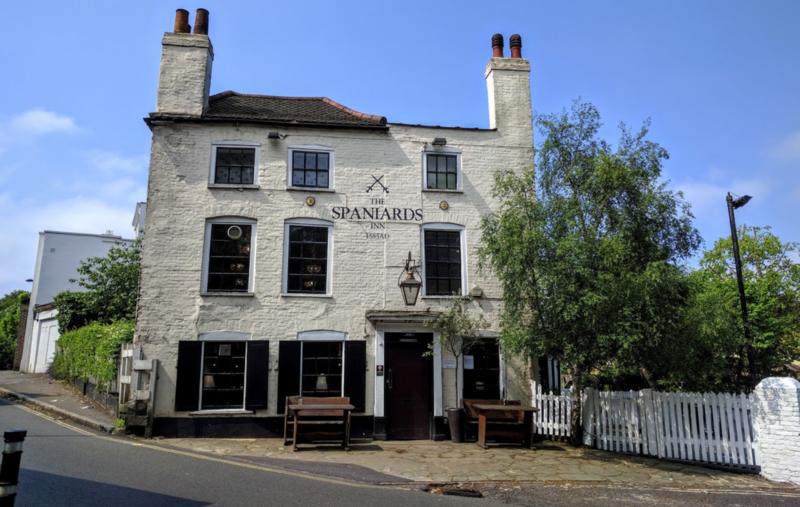 The Spaniards Inn is one of the most popular pubs in London, and you have to book your table weeks in advance to get in. 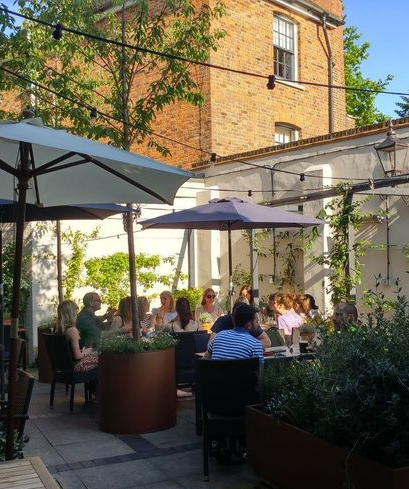 In the summer they open up the enormous beer garden at the back, a leafy area with picnic tables, outdoor booths, overhanging plants and its own bar. You can’t book this area though, so it can be especially tough to grab a spot if you’re in a large group. The rooms inside are cosy and genuinely old-fashioned – in fact, everytime I’ve eaten here the table’s been wonky. So authentic. 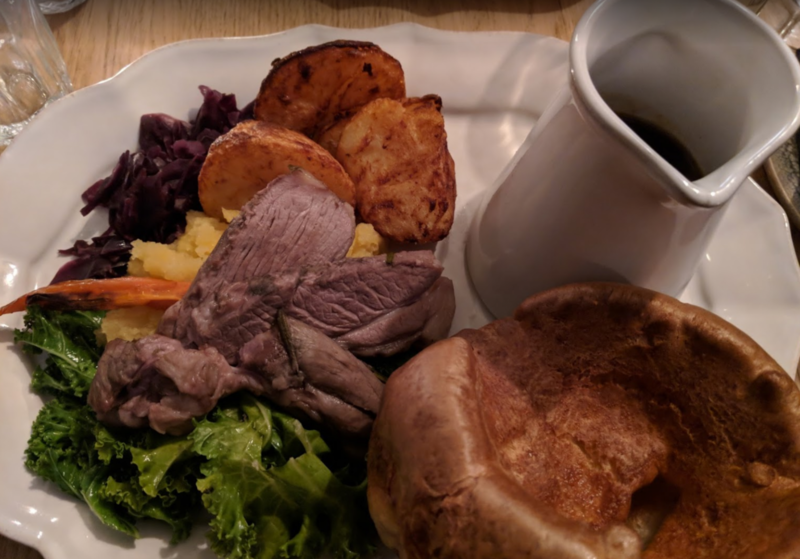 The Sunday roast menu at the Spaniards Inn includes beef, pork loin, nut roast, and a whole chicken to share between two people, all served with a home-made Yorkshire pudding, roasted vegetables and braised red cabbage. The Spaniards Inn is definitely at the top of the roast leaderboard for me. 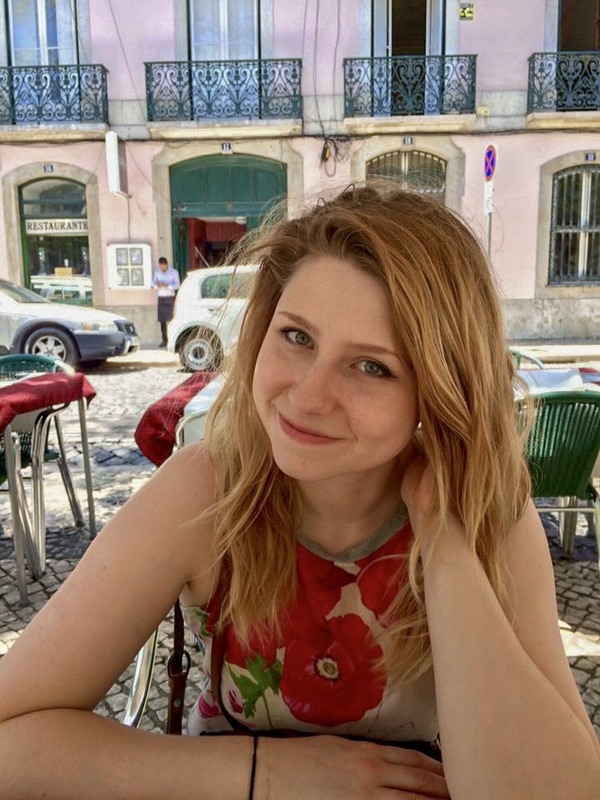 The shared roast option (I’ve had both the chicken and pork loin) is a really great deal, and at the end of a walk there’s nothing better than the sight of a whopping great plate of meat being placed on your table. The shared roast pork loin from the Spaniards Inn. To be honest, this leaderboard is more of a group of excellence rather than a clear ranking in terms of roast quality. Any one of them would be a great way to end a walk through Hampstead Heath. Have I missed your favourite pub off the list? Tell me about it and I’ll make sure to head there after our next Heath walk! Oh god this makes me so hungry! I can’t wait to sample some of these!